Today I’m honored to welcome John Draper, founder of one of our favorite inclusion-focused organizations, Together We Rock! 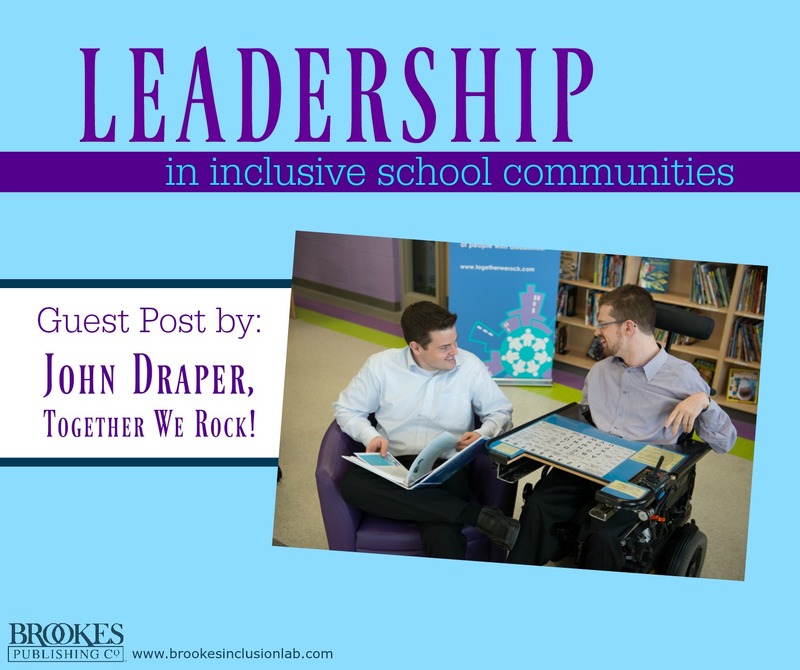 John is here with a guest post on how to create a leadership culture within your school community to promote accessibility and inclusion. 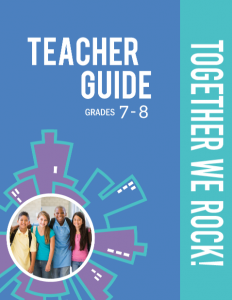 Read on for his thoughts, and don’t miss the free resources John shares at the end of the post: teacher guides with learning activities that promote leadership development skills at different grade levels. Schools play a critical role in shaping our communities and our world. Inspiring a leadership culture within a school community allows possibilities to become realities. An accessible and inclusive school community does not just happen ““ it is created by leaders who have a vision and who make a difference by taking action. Students, parents, teachers, support staff and administrators collectively have the knowledge and ability to create school communities where everyone belongs. In my educational journey, I learned the importance of having ““ and everyone sharing ““ a vision of what an accessible and inclusive school community looks like. Diagnosed with cerebral palsy at birth, I am physically disabled and non-verbal. I use a motorized wheelchair to maneuver and convey my messages through the use of a communication board and assistive computer technology. I completed my education in an inclusive school setting. On a daily basis in the classroom, it was clear to me that when every member of the school community is headed in the same direction, anything is possible. I also had ample experience with what happens when everyone is not on the same page about inclusion: it made my life a bit of a roller coaster, especially in high school. There were both champions of inclusive education and naysayers. From my perspective, it seemed like every class had a different set of approaches and expectations. 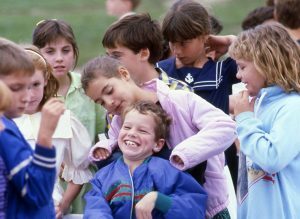 In grade ten, especially, everyone appeared to be all over the map about what inclusive education really meant. My frustration was adversely affecting my ability to learn. So I went to the vice principal and requested a teacher/student conference. He called all my teachers in for a meeting. At the start of the meeting, I indicated to the vice principal that I had a question to ask everyone and that I would like him to respond last. Then I spelled out the following question on my communication board: “What is your vision of an accessible and inclusive school community?” Each person gave their vision in turn. Guess what? The visions were all different. Then the vice principal gave the vision that was articulated by the school board. Many of the visions the teachers had stated did not reflect the inclusive education vision of our school board. It was a defining moment for all of us. School administrators and leaders often ask me: What is the first step we can take to create a fully accessible and inclusive school community? 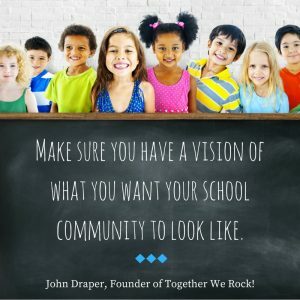 My response is always the same: Make sure you have a vision of what you want your school community to look like. The school administrators, educators, support staff, students, parent council, and student government all need to develop the vision and embrace it collectively. The vision should be written down and easily understood by all members of the school community. The vision must be visible on the school website, on classroom bulletin boards, in lunchrooms/cafeteria, even on Post-It notes on lockers ““ whatever and wherever is the best way to get the message across. Fostering a leadership culture within a school community is critical to achieving an accessible and inclusive learning experience for everyone. In my years as a student, I encountered the exemplary efforts made by some of my peers and teachers who said YES to creating a school community where everyone belongs. Their actions inspired all of us to “live” inclusive education every day. The leadership opportunities my teachers provided for my peers, in particular, made a positive difference in my life and the entire school community. One memorable moment was the day my kindergarten teacher asked my peers for their ideas on how to solve a problem. I had become fascinated with a guinea pig named Walter who lived in a glass box on a counter. I was in a walker at the time and couldn’t get close enough to reach into the box to pet Walter. My teacher asked my classmates if they had any ideas on how to solve this problem. One of my friends understood my dilemma and took action. She unbuckled a wicker basket that had been strapped to one of the bikes in the classroom and attached the basket to the front of my walker. Then she put the guinea pig in the basket. I was delighted because now I could pat the guinea pig and the other kids could come over to my walker and share the experience with me. My four-year-old friend showed leadership. She took action and made a positive difference in my life. Inspiring this kind of leadership culture in a classroom or school community promotes a proactive, solution-focused approach to fostering accessibility and inclusion. Today, I have a socially responsible business called Together We Rock! We’re committed to inspiring learning and championing leadership to create accessible and inclusive communities. To assist students and educators in their efforts to create a school community where everyone belongs, the Together We Rock! 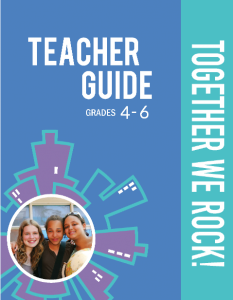 website features free accessible, downloadable Teacher Guides. 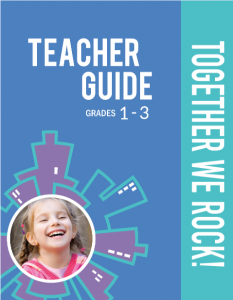 These guides include learning activities for Primary (grades 1-3), Junior (grades 4-6) and Intermediate (grades 7-8) levels. Each learning activity includes the learning objective, timeframe, background information, materials required, definitions, learning activity description and steps, and curriculum connections. It is essential that students learn how to be active participants in their communities and develop life skills that prepare them to collaboratively work and play with people in the real world. In this learning activity, students will brainstorm ideas on what it looks like to be an accepting and inclusive individual–and how that may positively influence their classroom and school community as a whole. This learning activity encourages students to take a leadership role in creating a more accessible and inclusive community. Students explore the concepts of accessibility and inclusion and are asked to draw their vision of a community where everyone belongs. The class then collectively chooses one vision and discusses how they can make it happen. Students will set specific goals and take action to turn their vision into a reality. Mainstream media play a critical role in how members of society are portrayed and perceived. As students become familiar with music lyrics, they begin to recognize the power that lyrics have to convey a message. In this learning activity, students will discover how the use of words and phrases set to music can affect society’s attitudes toward different groups of people. Students will listen to a variety of songs to identify themes of inclusion and accessibility. Then they’ll create their own playlist of songs that embrace these themes in order to promote an accessible and inclusive school and community. This activity provides an opportunity for students to express their thoughts, opinions, and leadership through music. Our success in creating more accessible and inclusive school communities will depend on our ability to become leaders and to inspire leadership in others, whether they are students, teachers, or administrators. We have the knowledge and ability to make it happen; we always did. When we create leadership opportunities, we rock. And when we take action together–then Together We Rock! John Draper is the founder of Together We Rock!, a socially responsible business committed to inspiring accessible and inclusive communities. 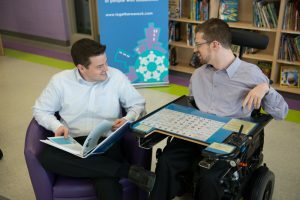 As a person with a physical disability and an augmentative communication user, John understands first-hand the benefits of an inclusive education. Every day, he celebrates the extraordinary teachers who embraced his potential to learn in an inclusive school community. To the naysayers…he has sent a copy of his college diploma. I have had the pleasure of welcoming John into my school to give a presentation to staff and students (K-8) . He is an engaging speaker and the students were very receptive to his message. I strongly urge you to consider booking a presentation with John from Together We Rock! Thanks for the comment, Bernie! It was a total pleasure having John as a guest blogger. I haven’t seen him give a presentation in person yet, but I hope to change that in the future. His message is certainly one that all schools need to hear.